If the Oak is the King of the woods than at no time is his reign more glorious than in autumn when his leaves glow gold and many beings are nourished from his acorns. Whenever I have lived or wandered abroad I cannot think of Britain without thinking of oak trees. Perhaps then it’s appropriate that I have ended up in a village whose name means ‘place covered with oaks’ or ‘overshadowed by oaks’. Nowadays there are not so many great oaks remaining but sometimes, my husband and I like to stand atop the Downs and dream of the time when everything before us; the farmer’s fields, the gardens, the roads would all have been covered with oak trees. Oaks were said to be sacred to the Druids. Some suggest the name ‘Druid’ actually comes from the old Gaelic name for oak, Duir, though others have dismissed this saying that instead, it originates from Dru – meaning ‘highest’ and vid – meaning ‘knowledge.’ Who knows the truth, but I cannot imagine any race who lived amongst the oaks would not have held them sacred. Oaks appear in the mythology of many lands and there are about 600 species in the genus across the world. The oak has many associations with protection and strength, partly because of the numbers of creatures that it shelters in its bows. Apparently it houses the greatest biodiversity of herbivorous insects of any British plant. Even in death it is home to a great many insects. 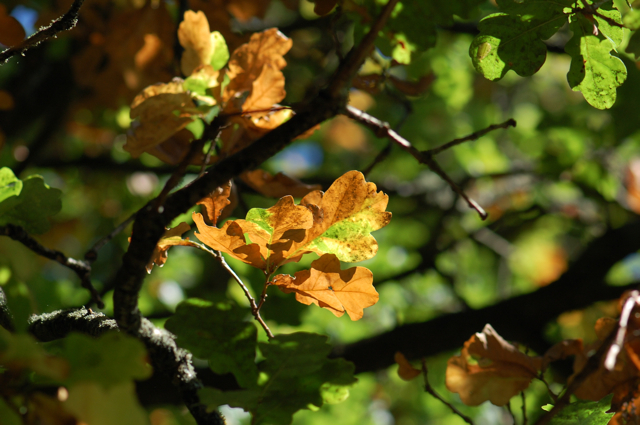 In the Bach flower remedies, oak is given to those who offer their strength to others and keep persevering until they themselves end up drained and exhausted. Taking the remedy is thought to re-establish the positive qualities of oak, those of courage, protection, strength and endurance. The oak tree was also associated with weather gods as apparently, it is hit by lightning more often than other trees. It has featured alongside the Gods of thunder and lightning in many European cultures, from Zeus of the ancient Greeks, to the Norse Thor and the Baltic Perkunas. This weekend however, it was also resplendent in the sunshine. Acorns were of great importance to country folk as a primary food source for their pigs in autumn. Before this, they were also an important food source for people themselves and were eaten by a variety of cultures from all over the world. 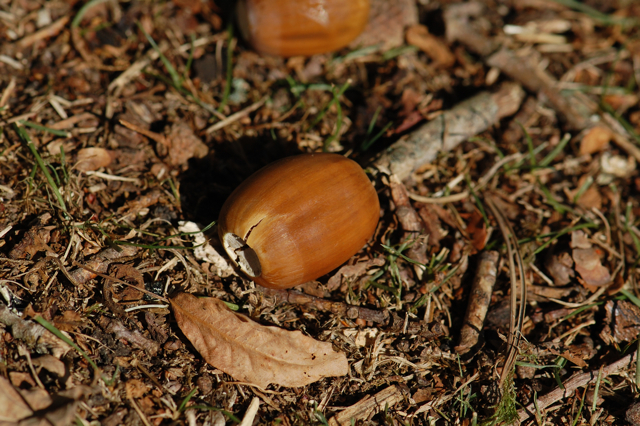 To eat acorns they must be soaked or boiled first to remove the tannic acid. I read a recipe for acorn muffins the other day, it sounded perfect for eating round the fire with a spicy herbal chai when the dark days of winter are upon us. And of course the oak has its place in herbal medicine as well. A very useful astringent, the bark can be used to staunch bleeding of all kinds from haemorrhoids to a mouthwash for bleeding gums. In pagan mythology the Oak King was said to reign from mid-winter to mid-summer, after which the Holly King took his turn on the throne for the second half of the year. But for me, Autumn will always be the time of the oak. What is your favourite autumn tree? This is a beautiful post! you might enjoy charles de lint’s book ‘spiritwalk’ – in it, he talks about the first forest, the eternal wildwood that covered all the world in trees, which every tree links to the ‘group memory’ of and every copse channels in some part. In it, there’s a place called the mondream wood – a place where the trees dream they are people. Its a beautiful and evocative book, one of my favourites! Also, theres a couple of great tree books that you might enjoy if you don’t already have them – one is called Silva – the tree in Britain, by Archie Miles, and features some fantastic tree photography and loads of tree lore, and the other is the celtic wisdom of trees, by jane gifford. Both gorgeous books! Thanks Ali. Spiritwalk sounds like an amazing book. I don’t have the others you mention either so I’ll be off to Amazon shortly to abuse my credit card again! This is JUST SO BEAUTIFUL..we live in Broad Oak, near Canterbury and the crossroads in the Valley all are marked by ancient oaks..My Husband is my Oak too, solid and strong..many thanks for the post. And yes, Spiritwalk is a lovely book, Charles writes with a deep love of trees. How lovely, it must be beautiful. I will definitely be checking out Spiritwalk, i always think when you get two recommendations for the same book you’re meant to get it! Beautiful pictures, and I love to read about tree lore. My favourite Autumn tree is the rowan, such beautiful fiery red leaves. Me too, trees are so much a part of us aren’t they. I agree the Rowan is a wonderful tree, especially at this time of year. I am blessed to be surrounded by oaks. I do not have to look far without seeing one. Some are young saplings, some ancient and some are dying. The frame of our old house is oak. When the historian saw the beam in our bedroom, he told me the tree would have been around 400 years old when it was felled. The beam from acorn to now is 1,000 years old. It made me cry, I felt quite overcome with emotion. I often sit beneath my old oak………a time for meditation. In my minds eye I could see you and your husband looking across the Downs and seeing days gone by. It is wonderful to know that two young people care about the past and honour it. Many blessings to you both. It doesn’t surprise me at all that you are an oaky person too! The story of your oak beam is wonderful, what tales it could tell of all it has seen over those thousand years. There is nothing like an old ancient tree to remind us of how we are such a small part of something greater. Mark and I love to dream of the ancient forests, I feel it keeps them a little closer to our every-day reality somehow. Nothing that is alive in our hearts can ever truly be lost I think. Oh yes that would be great! I have a book called Flora Britanica by Richard Mabey that has lots of native plants and trees in it with specific little stories and folklore about each one. In the oak section there are some nice stories about old oaks and how villages sought to protect them and things. It’s full of fun little tales that begin, “Joe’s grandmother remembered when…’ and stuff like that. I grew up in England but now live in Seattle, USA. The two trees I miss the most are the English oak and the horsechestnut. 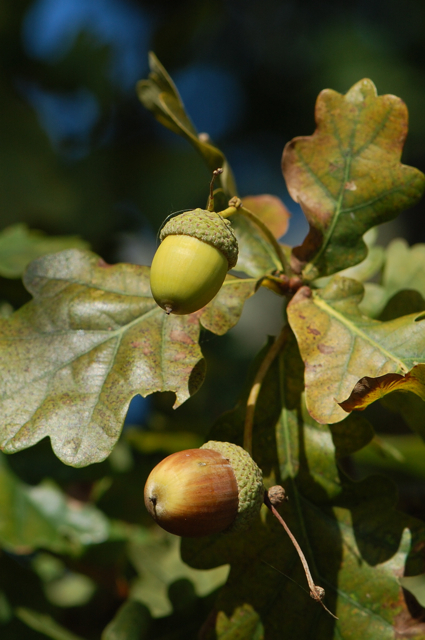 The oaks I see here have little ‘dumplings’ of an acorn – just not the same! I may just have to find a spot to grow one. Memories. Yes I can see why you would miss both those trees. Are there any native chestnuts in the US? it would be nice to grow one. Seeing an acorn grow into a sapling is a powerful thing I think! It seems horsechestnuts are occasionally available but usually the shrub varieties or sterile (what’s the point if you can’t have conkers??!). The common name in the US is buckeye I believe and they seem to be quite prone to disease. I’d probably still try! 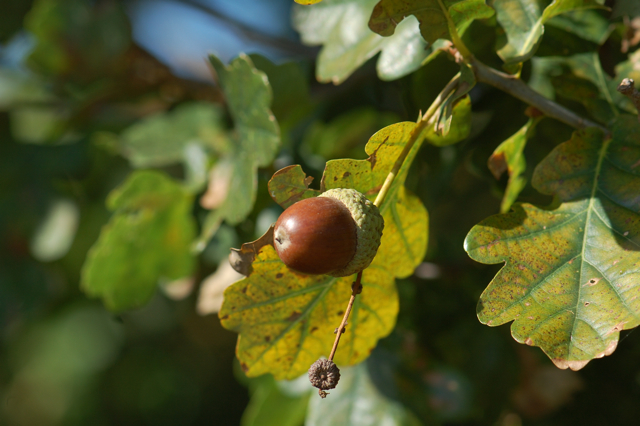 I’m now on a search for an English oak (Quercus robur) – none locally but mail order from Oregon is a possibility. This was such an interesting and thorough post about the mighty oak. I learned more…lots that I did not know. I’m glad you enjoyed it. Thank you for stopping by and commenting. Great question; my husband calls me a tree-aholic. I have planted garry oak, which are native to the pacific northwest, and I do love them. Last spring, when the new oak leaves were that fresh yellowy-green, I found a tiny spider the exact same color underneath a leaf. I couldn’t help but wonder, did the spider seek out the color or change its color? A favorite though, if I had to choose, would be the yew trees. They seem to tie me to the mountains more than any other tree. Beautiful photos; can’t wait for my oak trees to get big. The Yew is a truly remarkable tree isn’t it. I know it’s impossible to choose a favourite really! How lovely that you are planting, have you ever read ‘The Man Who Planted Trees’ by Jean Giono? It’s a wonderfully inspiring short story about the great benefits of planting trees. Lovely post! When I was a kid I’d heard heard all about Oak trees in my favourite books, but had never seen one. Then my parents bought a house with one in the backyard. It was quite large, but obviously just a wee baby here! It was a beautiful tree, and I was married beneath it 17 years ago this year. Sadly, it was lost to ‘developers’ (I hate that word) after my parents sold the house, but I have two baby oaks in very large pots, waiting for our move to the country, where I hope they will be able to grow and thrive long after I’m gone! What a wonderful story! Did you know that it was traditional for couples to be married beneath an oak in Celtic times? It must have been heartbreaking when the (un) developers cut it down. But it sounds like it had some very happy times with you and your family. wow im interested in trying some oak tree essence! i wonder where i could get that, or make it!!? 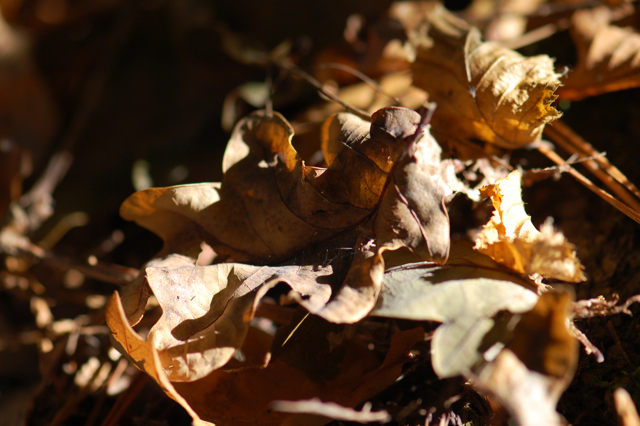 maybe you could do a post on making tree leaf/bark essences!? have you ever done it? I will happily do a post but I feel it will probably be something I don’t do again till spring now. No I didn’t get your email! Did you send it to whisperingearth@gmail.com? Could you forward it to my other email? 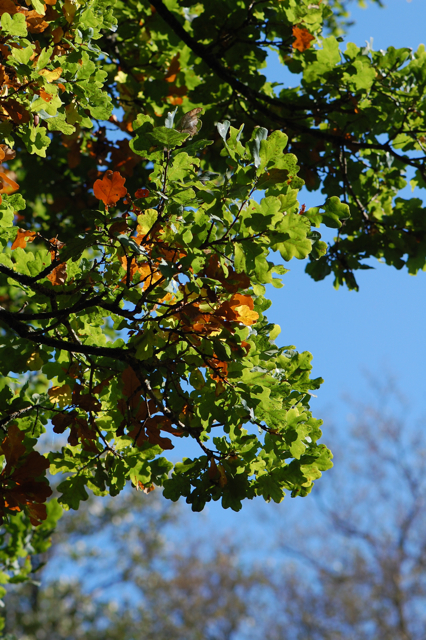 Wonderful, wonderful post about the Mighty Oak — I think they are magnificent! In the Autumn I also love the different Maples and here in the Black Hills I love the Aspens, Birches and Willows — the Hills turn golden! 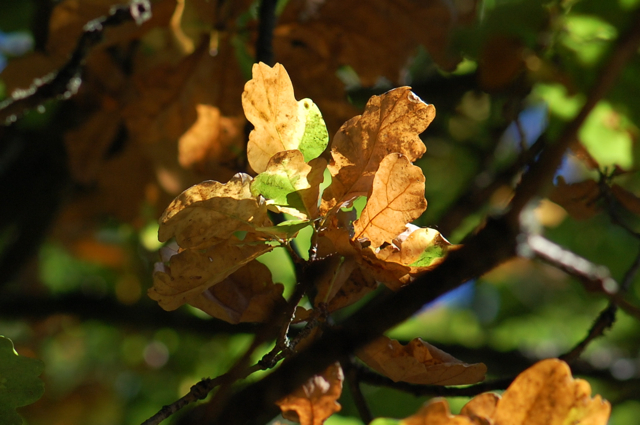 Wonderful post, I love to find out more about our everyday trees .. particularly when, like the oak, they have a rich tradition of history and are an important part of our heritage. I love that people used to marry under oak-trees before Christianity arrived.. its like they were respected elders in the community or at least special places. And when christianity did arrive, preachers would speak to gatherings at oak trees, hence the many Gospel Oak placenames.. maybe this is an example of the church needing to christianize places that were already sacred or ‘special’ in some way to the local people. So they have always been valued or respected. That’s interesting that the first preachers spoke under oaks too, I didn’t know that. I read once that the origin of the word temple was sacred grove and that only later did it come to mean a building. All our ancient ancestors must have worshipped outside though, it seems so meaningful to me. I’m glad to hear you’re starting your little one young on the tree loving! I’m sure acorn cloth would be just beautiful. Interesting post. I have an oak tree in my back yard that I call Grandfather Oak. I’ve always loved that tree. My dear husband passed away last year and I honour him by placing a candle under Grandfather oak and letting it burn down. I also meditate under that tree and send him prayers. There is another huge oak tree in my front yard. Well actually it’s almost at the street and I call him Akasha (keeper of the records) according to pagan belief. I don’t really have a favourite, except for Lady, who has a triple twisted trunk and I think she’s some kind of maple tree (I live in Canada). I love all trees. Found you by way of Cheryl. I need to discuss making face cream using herbs sometime. Hi Wendy. That is so wonderful, what a beautiful way to honour the life of your husband. Our connection to trees runs so deep doesn’t it. I’m planning on posting a series of easy cream recipes over the colder months whilst there’s not so much growing. Keep an eye out, I’ll probably do the first one next month once I’ve got some pictures. 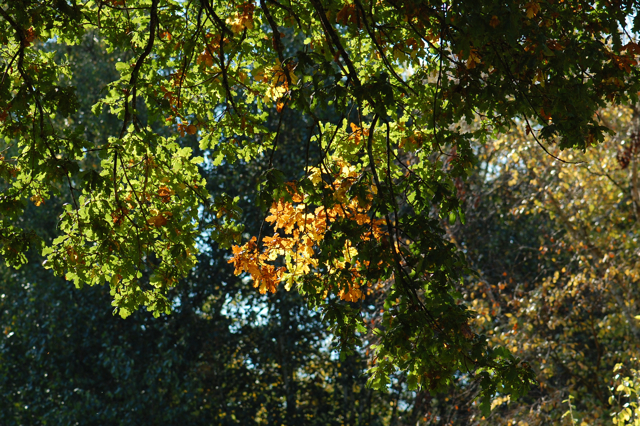 What beautiful photos and words in praise of the Oak, one of my favourite trees. I am lucky enough to live among many mature oak trees. Their acorns and leaf shapes have pleased me since I was a child, but the more I get to know them as neighbours, the more I honour them. They are the plant badge of my husband’s clan, and suit his nature rather well I think. As a tree-lover living among trees I find it almost impossible to choose a favourite, but I suppose that the beech has a special place in my affections, especially at this time of year: the contrast between smooth silver-grey bark and blazing leaves is so life-enhancing. Yes I know what you mean, the beech bark is so sensuous isn’t it! I always think of Beech as the Queen of the woods whilst Oak is the King. It is impossible to choose a favourite really isn’t it but I love the fact that Oak is the symbol of your husband’s clan!